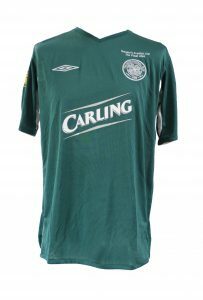 The 118th Scottish Cup Final was sponsored by Tennants at Hampden Park, and saw Martin O’Neill’s Celtic side take on Dunfermline under the stewardship of Jimmy Calderwood. Lithuania’s Andrius Skerla scored the opener for Dunfermline late in the first half, but a Larsson brace and late Stilyan Petrov goal secured the trophy for Celtic. 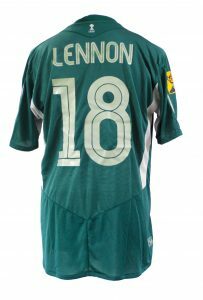 Lennon was the only Celtic player to be booked during the match, which would be Larsson’s last.